During WWII, US Army combat camera photographers operating as part of the Signal Corps, documented Army operations in all theaters of operation. Since many US soldiers did not carry personal cameras, the Signal Corps photos are the primary, if not only, source of combat images of the US Army. The largest collection of Signal Corps photographs resides at the US National Archives. However, there are other sources of Signal Corps photos, to include private persons, militaria dealers, and on-line auction houses. This is because many Signal Corps photos were never entered into the official files. Each Signal Corps camera team selected its best photos and passed them forward to their headquarters. The rest were given to other soldiers and units, or simply discarded. So it is possible to find Signal Corps photos outside of the official record. Signal Corps photos can have several identifying numbers on them. For example, many Signal Corps photos taken in Europe have an alpha numeric string such as “7A/6720 ETO HQ 45 31563.” These “ETO numbers” are locally assigned field numbers. There is no index for them at NARA and therefore are useless for the purpose of finding photos in the official collection. The NARA collection is cataloged by a card index that lists the photos by location, subject, and unit. There is no index for a specific time period or photographer’s name. Each Signal Corps photo in the collection has a six digit “SC” number such as “SC 238114.” This number can be used to find any photo in the NARA collection. So, if you see a Signal Corps photo referenced in a publication by “SC” number, then it is possible to find the original photo in the NARA collection. For research purposes, the utility of the Signal Corps photos are their captions that include: the date of the photo; identification of the US unit in the photo, often down to battalion level; a short description of the subject or activity depicted in the photo; and frequently, the names of the any US soldiers in the photo. All Signal Corps photos in the NARA collection are in the public domain, meaning that they are not copyrighted. Unfortunately, there is no on-line database of the photos, nor is the collection digitized, although there are rumors that the entire collection of photos has been electronically scanned by at least one commercial entity. The image below is a low resolution scan of a typical Signal Corps photo in the NARA collection (SC 204048). 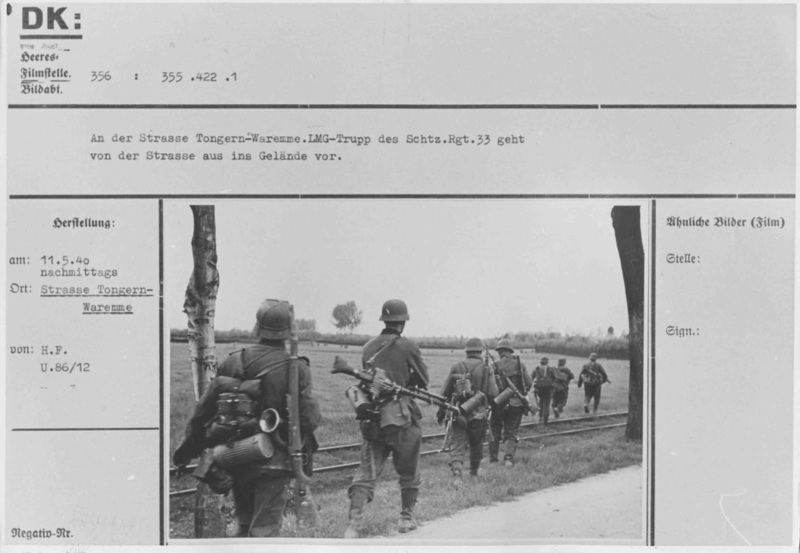 Among the holdings of the U.S. National Archives and Records Adminstration (NARA) still photograph collection are "photographs taken by propaganda units of the German Armed Forces (Wehrmacht) and the Waffen-SS, ca 1939-1945." 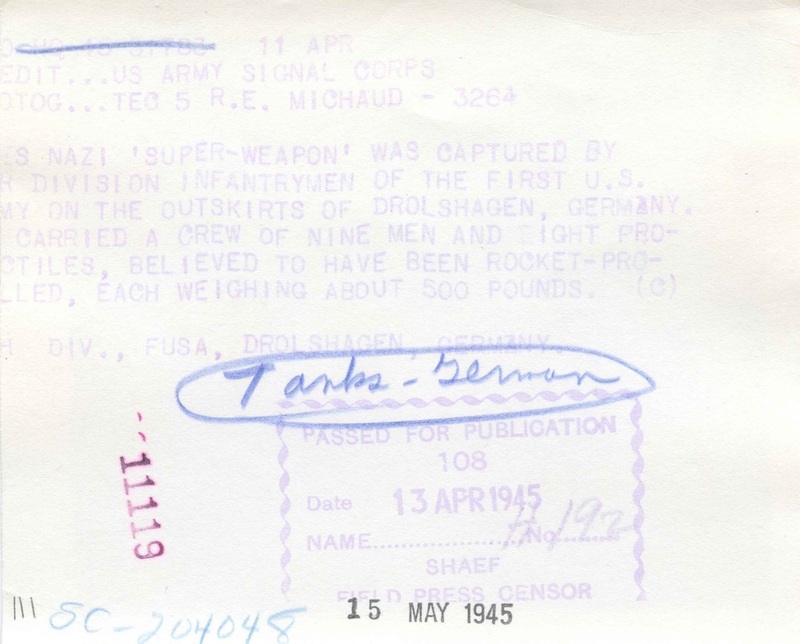 NARA describes the captured German photo collection as follows: "During World War II, the Wehrmacht established a propaganda section to coordinate and approve release of photographs taken by military photographers in the Wehrmacht and Waffen-SS. This propaganda section worked under the direction of Goebbel’s Ministry for Enlightenment and Propaganda. After photographs passed censorship, they were published in military publications and/or distributed to the civilian press for publication. The subject content of this series is extremely diversified. Among the subjects covered are the invasion of European countries, their occupation by German soldiers, civilian life under German rule, front-line military action, German soldiers interring POWs, military equipment, civilian life in Germany, bomb damage to German cities, German military leaders and officials, political leaders, soldiers decorated with medals. Just before Germany’s collapse, an official in the Wehrmacht Propaganda section who was in charge of the photographic archives, in violation of Goebbel’s order that the archives be destroyed, arranged for the movement of the archives to Bavaria. There it was discovered by US Army officials. Part of the archives was destroyed and another part was appropriated by an unidentified Allied officer and was never recovered. The archives consisted of some two million uncaptioned 35mm negatives and approximately, 25,000 captioned prints. In the 1960’s, copy negatives and prints were made of the 25,000 prints. However, the copying of the captions on the back of the prints was not conducted consistently. Therefore, there is a large number of prints for which no captioning information is available. The original prints and negatives were returned to the Bundesarchiv. The two million uncaptioned negatives were a part of the OKW archive and were sent back to Germany before they were copied. NARA has no copies of these items. The 25,000 prints were a part of the OKH archives. A copy of negatives and prints were made from the original prints before being sent back to Germany." 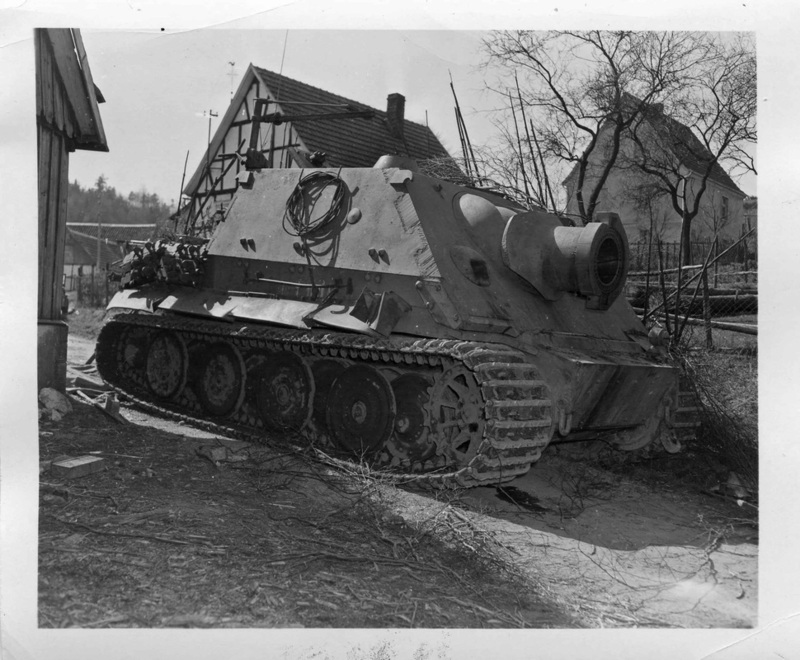 Therefore, the Bundesarchiv in Germany has a much larger collection of photographs. Furthermore, NARA does not have photographs of the Luftwaffe which are located at the Bundesarchiv in Koblenz. Currently, the photographs of NARA’s collection are neither digitized nor accessible online. Finding a specific photograph or subject requires knowing either the exact photo number, or hours of pouring through boxes and file folders of photographs. The photographs are numbered by series: Record Group, Box, Folder, Item. Therefore, a photograph number RG 242, 5, RR, 11 means the photograph is located in Record Group 242, Box 5, Folder RR, Photograph 11. Captured photographs of the German Armed Forces are in the public domain. When using these photographs, the National Archives should be cited as the source of the image. Copy Negatives. These are small prints measuring 6 by 8 cm. Must be scanned at 600 dpi or more to get a quality image. Any defects or damage to the image can severely degrade its quality. Most of the images in the collection are copy negatives. Prints. These are prints of the original photograph and its data card measuring about 15 by 30 cm. Quality images can be made with 300 to 600 dpi scans. Original Photographs. These are rare. 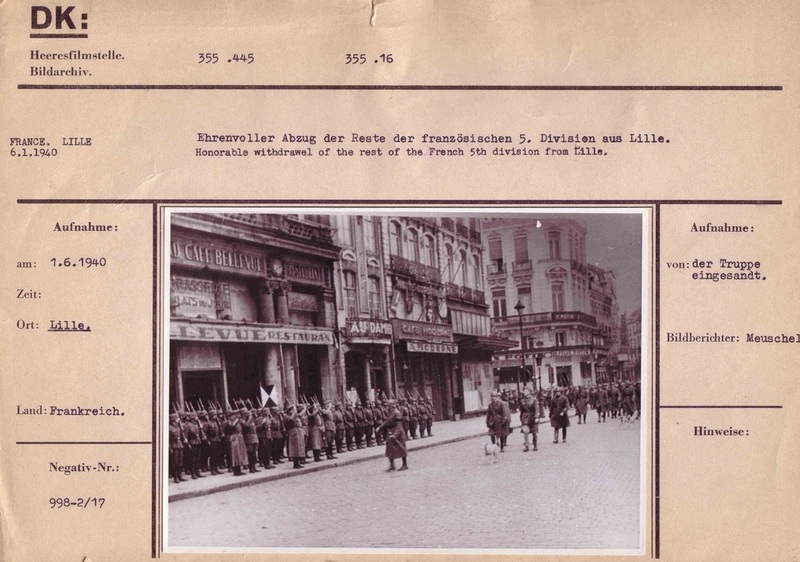 These are the original data card and photographs produced by the German propaganda unit. Quality images can be made with 300 to 600 dpi scans.